I’ve been wracking my poor little brain trying to figure out who created this beast. First, who could possibly hate fudge? 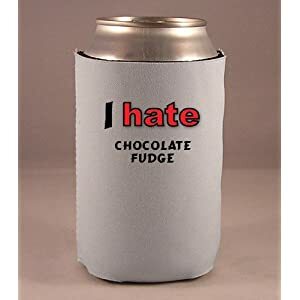 Second, why would you tell people you hate fudge while keeping your beer cold at the monster truck race. 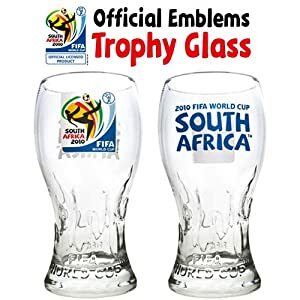 It’s not too late to celebrate your favorite World Cup 2010 team with these beer glasses. The glasses reflect the shape of the World Cup trophy and include the logo. Vuvuzelas are not included. 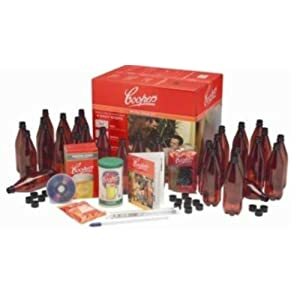 These Italian made beer mugs put the gusto in your goblet. 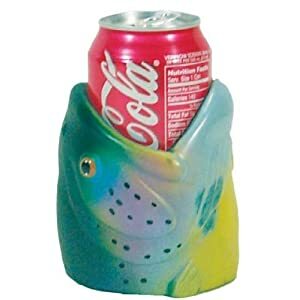 The hefty glass keeps the brew cold while the shape keeps the bubbles where they should be. 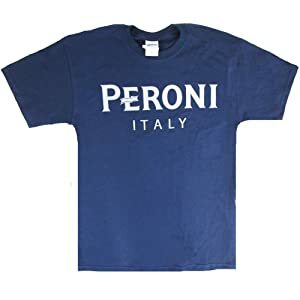 Get this cool Peroni tshirt to have the ultimate Italian beer moment. This may wet your appetite. I visited two of my sisters earlier this month in North Carolina. 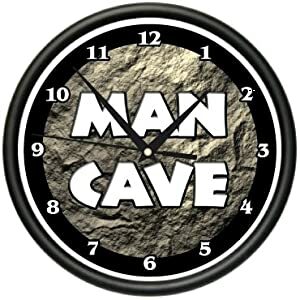 I was surprised to find out that people over there actually use the term “man cave” without laughing. It’s a serious thing! I thought it was just a joke. 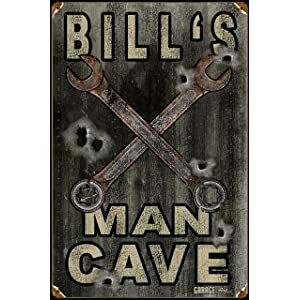 I still can’t imagine needing a man cave, but then I don’t drive an SUV, own a gun, or struggle to find the pants in the morning. But maybe there’s something to this man cave experience. What room couldn’t use a jolt of over-produced manly halmark sentiment? Can we call it manmark? 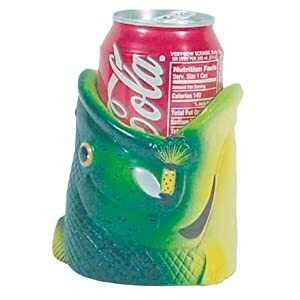 Here are some man cave items that will turn your kitchen into a man kitchen. I still can’t say that without chuckling. Rule number one is apparently the need to let everyone know that you’ve got a man cave and they are standing in it. So get yourself a big neon sign. You don’t want anyone to forget whose man cave they are visiting. So grab a personalized man cave banner. You’ll need some stools, the uglier the better. We don’t want any style, that wouldn’t be man cavely. 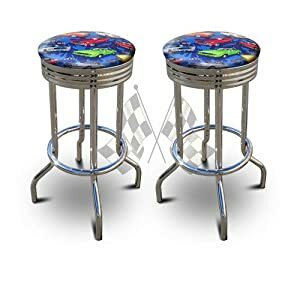 Nope, grab some faux-tacky bar stools. What’s more manly than relaxing in your man kitchen? Can we call it a mantchen? Relaxing in your mantchen with beer. Lots of beer. 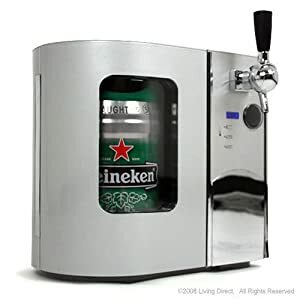 Lot’s of beer in your manly kegerator! It’s a mantchen, make some beer! 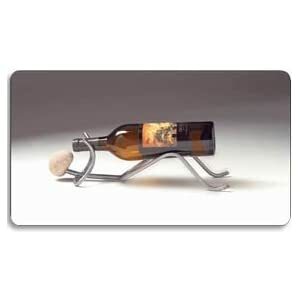 Don’t forget the wine, you’ll need to hide a bottle or two for when your man friends aren’t around and the woman invades the space. Remember what Christopher Lowell says, it’s time to add that final layer of design. 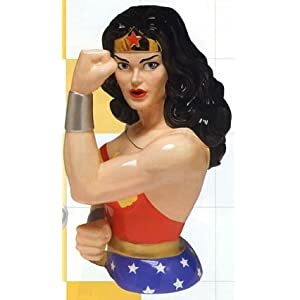 Nothing scream man cave more than a Wonder Woman cookie jar. 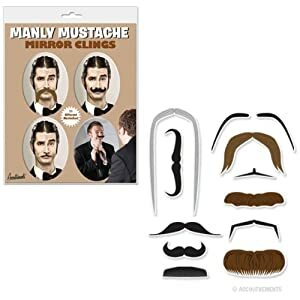 Figure out which mustache you’ll grow next with this set of mustache mirror stickers. They’ll be great on that shiny stainless steel fridge. 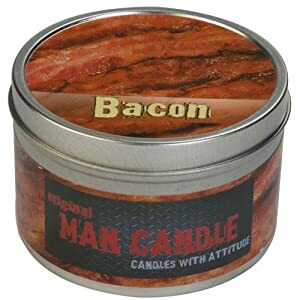 If the cave is gonna stink, make it stink like bacon! There’s so much to learn about building and enjoying your man cave. Perhaps this book will help.